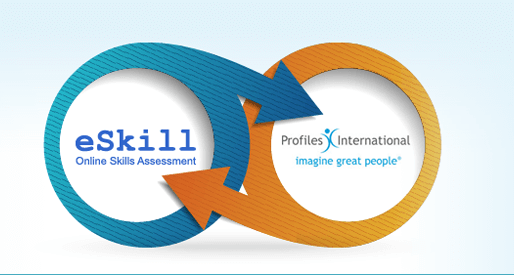 eSkill provides online skills assessments to help you appraise the skills and knowledge of job candidates and current employees. Their test content is created and refined by subject matter experts to provide a predictive evaluation of competency levels. eSkill goes beyond standard skills testing by providing the ability to assess training needs of current employees with skills gap analysis and benchmarking. The eSkill Editor is an application designed to enable clients with the ability to create and edit their own tests. Clients can author their own questions from scratch, or convert paper versions of skills into an online eSkill assessment. In addition, they can edit existing questions to adapt them to their specific testing needs. Whether you need a standard test on a specific subject, or a multi-subject test customized for a complex job requirement, eSkill has the powerful software – combined with more than 350 subjects and thousands of modular topics – to deliver a highly relevant assessment. From custom tests you create with your own content, to an extensive list of skills tests covering areas from the MS Office suite, Typing, IT, Language, to Healthcare and a range of other subjects. eSkill Editor allows you to upload custom questions to create comprehensive tests that provide you with all the information you need to choose qualified employees and identify training needs. Increase the productivity of your work force with employee assessments that benchmark your employees’ knowledge, identify skill gaps and offer qualified training recommendations. Find the test you’re looking for to cover your pre-employment screening or assist you in assessing current staff for ongoing training. Customize tests from over 350 subjects and thousands of selectable topics. Interested in knowing more about the eSkill?